While April 15, 2019 is nearly six months away, the complexities of the latest tax reform, combined with taxpayers' natural tendency to procrastinate, now is the time to begin preparing for the big day. Not only will there be a challenge to keep track of federal tax compliance, but the states are all responding differently to the Tax Cuts and Jobs Act. Throw in a bucketful of uncertainty and a dash of misinformation, and Tax Day is shaping up to create a plethora of confusion and surprises for tax preparers and payers alike. So how can you prepare for April 15th? Every 2017 tax return we prepared included a Tax Projection Worksheet, outlining exactly how your tax return for 2017 would have differed under the new 2018 rules. If you haven't already reviewed that, we encourage you to do that now. Let us know if you would like to review the projection with someone here on staff. We can advise you on how to prepare for any possible significant changes between now and the filing deadline. We encourage all of our clients to do a withholding check-up; it's not too late to change withholding for the remainder of the year if needed. Simply ask your employer to let you complete a new W-4. Need help with the online check-up? Let us know! 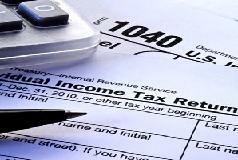 If you're making estimated tax payments, be sure that you're on schedule with those. Think your situation changed during the year? Let one of us review your year-to-date records and help you determine if an adjustment needs to be made for your final payment in January. It's never too early to begin gathering important documents and creating files for income documents, tax payments, rental property income/expenses, education expenses, medical and dental receipts, charitable contribution receipts, etc. And remember, OUR deadline is April 15th ..... that means YOUR deadline is really April 1st. We welcome early birds! With the April filing season behind us, criminals are busier than ever trying to take advantage of taxpayers. From stealing an identify to claim a refund to posing as an IRS agent trying to collect taxes, there seems to be an endless array of ways for thieves to take advantage of the complex tax system. …initiate contact with a taxpayer by email, text message, or social media channels. …demand payment without the opportunity to question or appeal the amount you owe. …demand payment using a specific payment method and will never ask for a credit card number over the phone. …threaten to bring in local police, immigration officers, or other law enforcement. The IRS initiates most contact through regular mail delivered by the United States Postal Service. Keeping these points in mind, you can protect yourself from many of the scams circulating today. The IRS has taken measures to combat tax-related theft by creating The Security Summit - a partnership between the IRS, state tax agencies, and the tax industry. This agency works primarily to fight identity theft through authentication procedures, heightened cybersecurity, encrypted information sharing, and educating the public. You can find some simple ways to protect yourself against identity theft by visiting their site. Here at Eden Scott & Associates, P.C., we work hard to protect your data. We review our security protocols regularly, upgrade our systems frequently, use professional-grade programs with enhanced security features, and keep every physical record under lock and key. 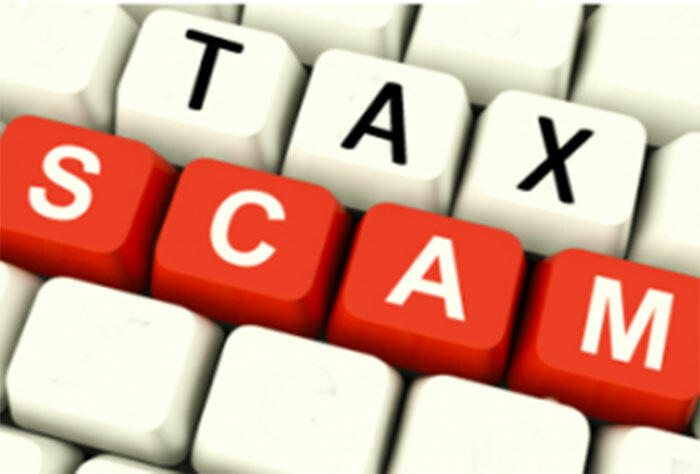 IRS agents calling to “verify” tax return information – criminals use telephone numbers that mimic IRS Taxpayer Assistance Centers to trick taxpayers into paying non-existent tax bills. “Erroneous” refund calls – after stealing client data, criminals use the taxpayers’ bank account to make a deposit and then call to instruct how to return the funds. IRS “refunds” email - used by cybercriminals to trick people into opening a link or attachment that takes people to a fake page where thieves try to steal personal information. Natural disaster schemes - criminals and scammers often try to take advantage of the generosity of taxpayers who want to help victims of major disasters. Bogus websites, social media links, calls and emails are the most common avenues. “Ghost” tax return preparers – a tax preparer that prints the paper return and has the taxpayer sign it and mail it in, or electronically files the return without a signature. By law, tax preparers are required to have a valid Preparer Tax Identification Number (PTIN) and include that number (along with their signature) on every tax return they prepare. Here at Eden Scott & Associates, P.C., everyone who prepares returns has a PTIN and every.single.return is signed prior to filing. How can we help you this next tax season? If you have young children and work outside the home, school probably occupies your kids during most of the workday during the school year. But what about during the summer? Who looks after them while you're at work? If you find yourself paying for child care, you should know there’s a silver tax lining for these costs. Generally, you should be able to qualify for the child care credit, and the credit may be more widely available than you think. To qualify for the credit, you must incur expenses of caring for a child under age 13 so you can be gainfully employed. A married couple is treated as being “gainfully employed” if one spouse works full time and the other works either full-time or part-time or is a full time student. A married couple must file a joint return to claim the credit. The applicable credit is 35 percent of the qualified expenses for taxpayers with an adjusted gross income (AGI) of $15,000 or less. The percentage is reduced by 1 percent for each $2,000 that your AGI increases until it bottoms out at 20 percent. Thus, the credit is 20 perent for taxpayers with an AGI above $43,000. The credit is available for the first $3,000 of qualified expenses for one child and $6,000 for two or more children. This results in a maximum credit of $600 for one child and $1,200 for two or more children if you have more than $43,000 in AGI. To claim the credit, the child care expense must be "qualified." While the costs of traditional babysitters, day care centers and nursery schools are qualified expenses, there are other "non-traditional" child care options that also qualify for the credit. For instance, costs incurred at a municipal pool or country club may qualify for the credit. So can the cost of sending a child to a day camp where recreational activities like swimming, boating or hiking are the focus. Unfortunately, the cost of an overnight camp does NOT qualify. This includes camps run by the Boy Scouts, Girl Scouts or other organizations. The day camp can even be a “specialty camp” emphasizing a particular skill or other aspect. The full cost of attending the specialty camp is eligible for the credit, but you can’t add on expenses for special equipment, uniforms or supplies. Don't forget that you'll need specific information from the child care provider to claim the credit on your personal tax return. Be sure to have the provider (or day camp) name, address and taxpayer identification number. Then make sure that Form 2441 (Child and Dependent Care Expenses) is attached to your return. If you find yourself getting tangled up in how to figure the percentage of credit, your AGI, and what expenses qualify, just breathe! Our job is to take care of calculating all of that for you and filing the correct forms with your return for you to claim the credit. You simply need to know about this credit so you can include these kinds of child care expenses with your year-end tax information. Get the information from your provider now and put it in your tax file - you'll be one step closer to being ready to file your return for 2018! 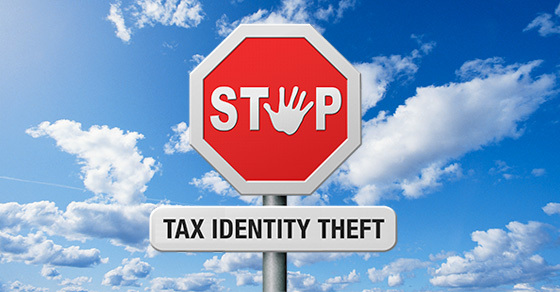 Don't Be A Victim of Identity Theft: File Your 2017 Return Early! The IRS has just announced that it will begin accepting 2017 income tax returns on January 29. You may be more concerned about the April 17 filing deadline, or even the extended deadline of October 15 (if you file for an extension by April 17). After all, why go through the hassle of filing your return earlier than you have to? But it can be a good idea to file as close to January 29 as possible: Doing so helps protect you from tax identity theft. The Eden Scott & Asscociates, P.C. website and the information contained therein is intended to provide general information only. The Eden Scott & Associates, P.C. website is not intended as, and should not be taken as, financial, tax, accounting, legal, consulting or any other type of advice. Users of the Eden Scott & Associates, P.C. website should not act or refrain from acting on the basis of information provided on the website. The use of the information provided on the Eden Scott & Asscociates, P.C. website, and/or any email or other electronic communication sent to Eden Scott & Asscociates, P.C. through the website, do not establish any contractual or other form of client engagement between Eden Scott & Asscociates, P.C. and the reader or user of the website.